We enjoy bringing you all of our blogs about New York City. However, we especially enjoyed this one as it involved a lot more research than usual. So, here it is…our take on the restaurants for you whilst in New York City. Remember to keep this list close to hand when you visit New York! 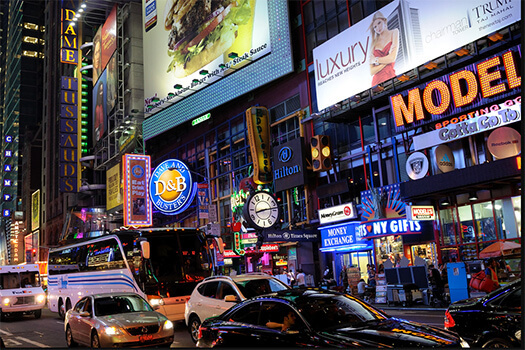 Planet Hollywood sits right on Times Square and so it’s a really handy location for those who are visiting the city. Added to that, the atmosphere is exciting. Everywhere you look you will find Hollywood memorabilia so there’s always a conversation topic for your party. The food is excellent – you’ll find the menu offering salads, burgers, pizzas and pastas – so there’s definitely something for everyone. Service is friendly and efficient – but if you plan to eat in the evening then you’ll definitely need to book ahead. Applebee’s 42nd & 50th Street. 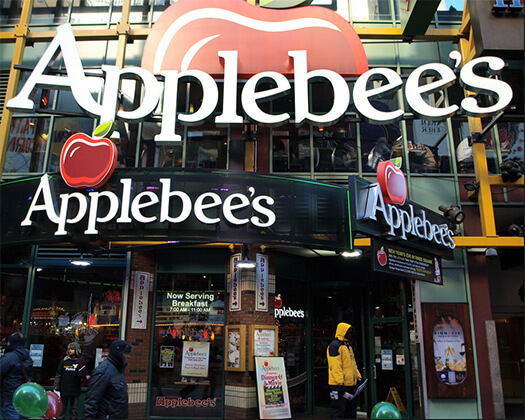 The New York, Broadway link on the Applebee’s chain is known for its good service and is a really reliable stop for a fantastic breakfast or lunch. It is a large space so there should be tables available even in busy times, and it’s very family friendly. Dave & Busters 234 W & 42nd Street. Again, it’s a really central location on Times Square and very handy for visitors who are here to see the sights. We think the level of choice on the menu at Dave and Busters is amazing. We’ve found the food to be very fresh and good quality. To those not familiar with Dave & Busters – there’s more than just food here. They are also famous for showing sports and the games you can play in the venue - from video games (with the option of winning prizes) to bowling and billiards. Grotta Azzura 387 Broome Street. 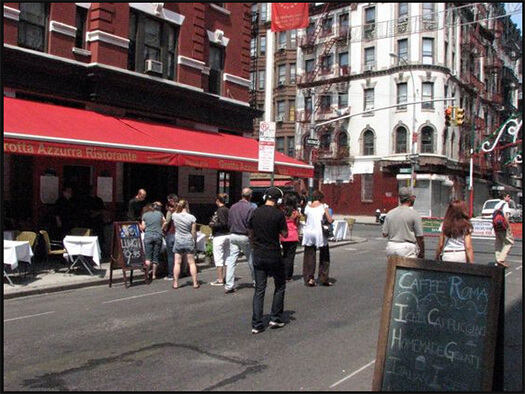 Located in Little Italy, New York City, the Grotta Azzura was founded in 1908 and is a one time favourite hangout of Frank Sinatra. The ambience is truly excellent and the food is even better. We guarantee that you will remember the flavours you taste here for a very long time. It can be busy, and that is probably because when previous diners return to New York City, they probably make a dash to this place. You probably will too! 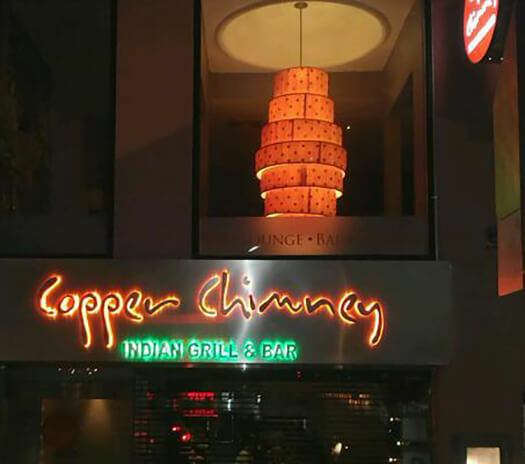 Copper Chimney 126th East 28th Street. Potentially the best Indian Restaurant in New York City. It’s on our list because the service is very attentive, the food is delicious and they are family friendly too. Everything is prepared from scratch with fresh ingredients every single day. There’s a cocktail bar upstairs too, which is quite cosy. Bella Napoli, 130 Madison Avenue. 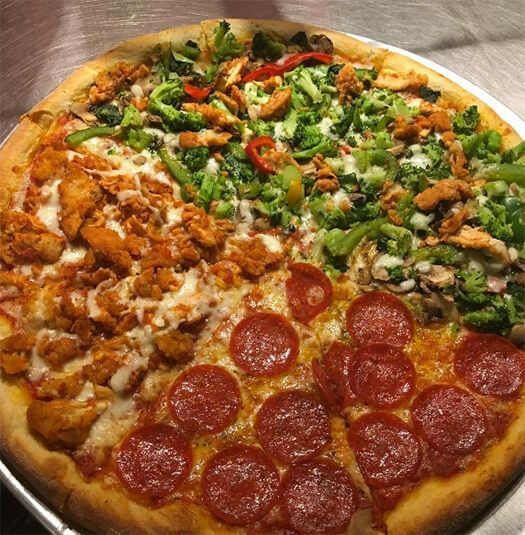 If you are hungry for pizza during your stay in New York City then Bella Napoli is definitely worth a visit. They are renowned for their very generous pizzas made using the freshest of ingredients, but the menu offers other Italian delights. So good, it’s like Italian home cooking. The staff will treat you like family too, so it’s a perfect option for lunch or dinner. 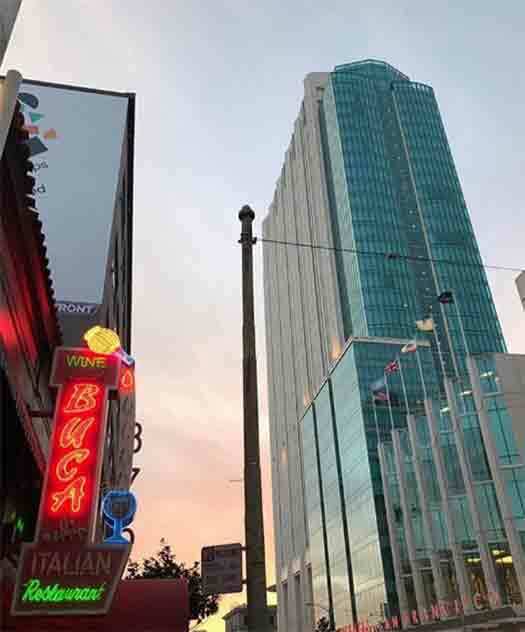 Buca di Beppo, 1540 Broadway. A useful option if you are in the centre of the city and you’re looking for some good Italian food. It is part of a successful chain that has restaurants across the country, and we guess that their success is down to keeping their Italian style family roots. It also happens to cater for those who prefer gluten free, vegetarian or vegan options (and we don’t mean salads!). However, make room, as the portions are generous. The price tag is also very fair considering its central location. Bill’s Bar and Burger Downtown. 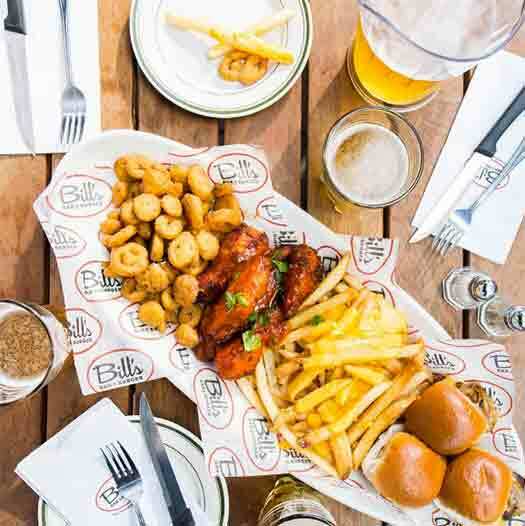 Located on 85 West Street, this successful restaurant hails from NYC and was founded back in 2009. Since then it’s expanded into two other NYC locations and one in Pittsburgh. This particular branch is located inside the Marriot Hotel. Good, quick service and excellent food. It’s a great option for breakfast, lunch or dinner. They have an extensive beer menu also. Perfect if you are looking to eat whilst down this end of town.